Start by blending the dry ingredients with coconut water to get a smooth base to add the fruit to: Combine the rolled oats, 1 Tbsp chia seeds, flax seeds and coconut water in a blander jar. Blend until consistency is smooth. 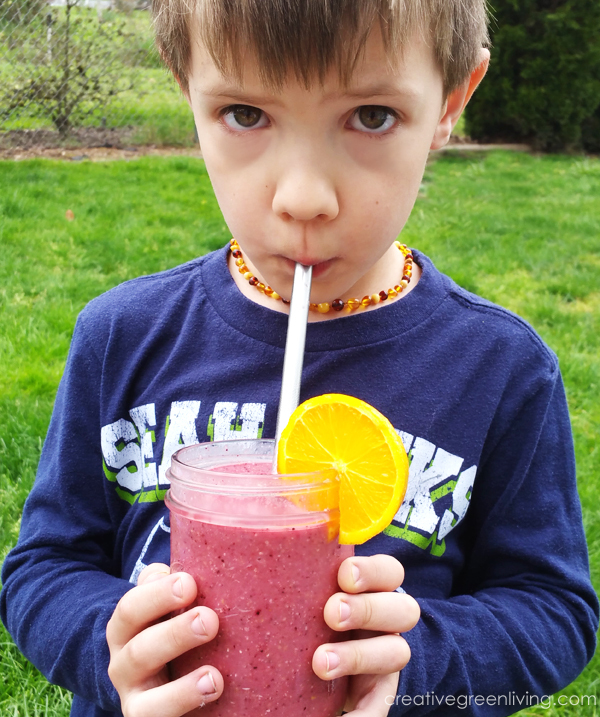 Add honey, 3/4 cup frozen blueberries, frozen strawberries and frozen peaches. Blend until consistency is smooth and creamy. If blender jams due to being too thick, add more coconut water, 1/4 cup at a time, until desired consistency is reached. Smoothie should be very thick. 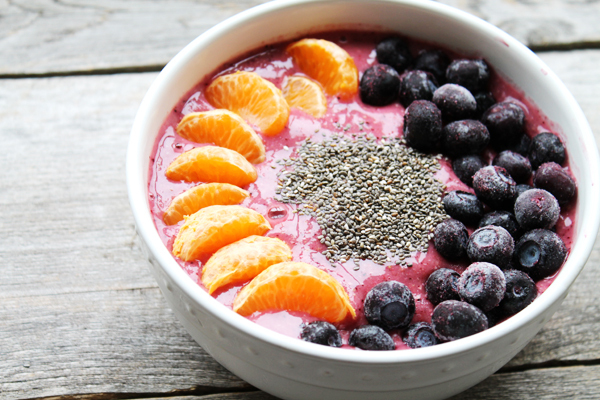 Divide smoothie into two bowls. 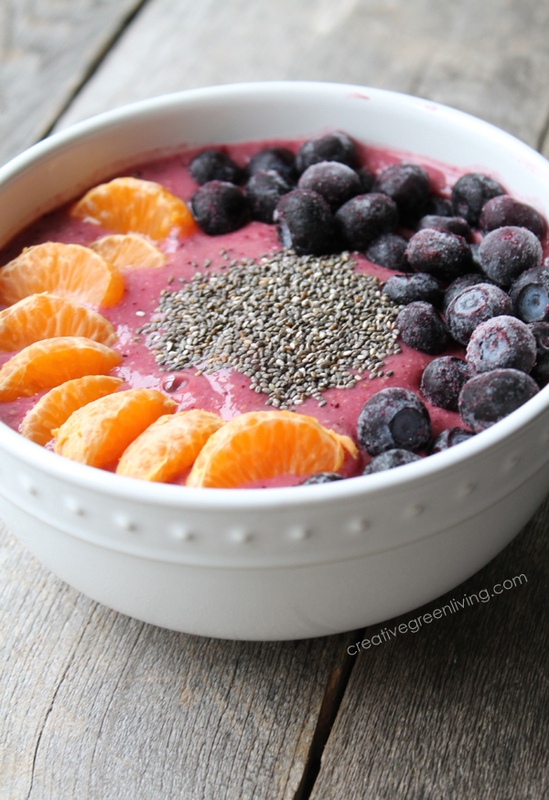 Top with remaining chia seeds, blueberries and clementine slices.